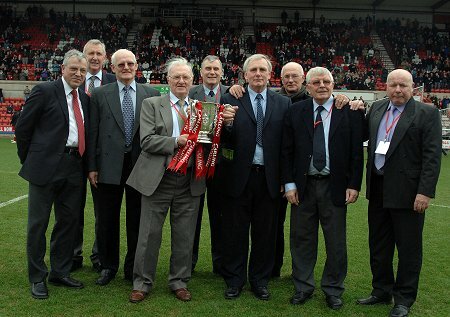 The Reds' Greatest Day - 50 years ago! 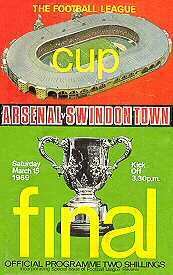 There have been many shock cup results over the years, but few can compare with the day when Third Division Swindon Town beat the mighty Arsenal in the League Cup Final at Wembley. Arsenal were riding high in the old First Division in March 1969 - they eventually finished fourth - and their all-star team included household names such as Bob Wilson, Frank McLintock, Bobby Gould and George Graham. Swindon Town were two divisions below them, but they were just two points behind leaders Watford and looking good for promotion to the old Second Division. Town had only one full international in their team - fullback Rod Thomas having three Welsh caps to his name. But Town also had 23-year-old Don Rogers, who was described in the match day programme as "one of the most sought-after young players in the country". It was Town's first visit to Wembley but Arsenal were making a return journey after having lost 1-0 to Leeds United in the previous year's League Cup Final. This time Arsenal were hot favourites to take the cup. But they had complained about a flu bug which had affected some of their players in the run up to the match and they were less then happy with state of the hallowed Wembley turf. The famous Wembley pitch was in probably its worst condition ever. Already very heavy, it was made even worse by being trampled under the hoofs of competitors in the Horse of the Year Show the week before the match. In front of a full house, Arsenal manager Bertie Mee and Town's Danny Williams led the teams out and they were introduced to HRH Princess Margaret. Both teams were wearing unfamiliar colours. As was the custom in the League Cup Final, both teams were asked to change if their normal colours clashed. Arsenal therefore played in their second colours of yellow shirts and blue shorts, while Town surprisingly chose to wear all white rather than their normal second strip of all blue. And so the scene was set for one of the greatest days in Swindon Town's history. Town started confidently and the game quickly developed into an exciting end-to-end battle. In the fourth minute, Town keeper Peter Downsborough had to dive smartly to tip a Jon Sammels shot round the post. 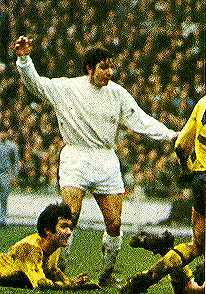 At the other end Don Rogers came close to scoring after one of his famous runs, but Arsenal keeper Bob Wilson was off his line quickly to stop him. Arsenal stepped up their game a little and began to create some good chances. But Town's defence were holding well and timely tackles from Frank Burrows and Rod Thomas kept them at bay. And whenever the ball did find its way beyond through, Downsborough was in commanding form. Several times the Town keeper was called upon to deal with dangerous crosses. A free-kick in a dangerous position just outside the area was chipped in for Radford, but his header skimmed the bar. But it was certainly not all one-way traffic, with Town wingers Don Heath and Don Rogers looking dangerous on the break. Arsenal were beginning to realise that they were not going to enjoy the easy win that had been forecast. And in the 35th minute they found themselves a goal down. Joe Butler chipped the ball into the box, where Peter Noble put pressure on Arsenal centre half Ian Ure. Ure hesitated long enough to allow Noble to poke the ball back into the danger area. 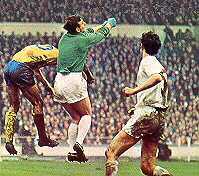 As Bob Wilson came out, it seemed a simple matter for Ure to usher the ball back to his keeper. But under pressure from Roger Smart, the big defender seemed to lose concentration and the ensuing chaos allowed Smart to simply continue through, taking the ball with him into the empty net. In the remaining time before half time, Arsenal pegged Town back in their own half and came close to getting an equaliser. Bobby Gould managed to get his head to an off-target Jon Sammels shot and for once managed to steer the ball past Downsborough. But things were going Town's way, and the ball hit a post and bounced clear. Predictably, Arsenal stepped up a gear in the second half and piled on the pressure. Town continued to be a threat on the break, but the First Division side gradually began to take control and Town were forced into increasingly desperate defence. And it was Town keeper Peter Downsborough who was in the thick of the action. After picking up a knee in the chest in a collision with Gould, Downsborough produced a succession of incredible saves to keep Town in the lead. A superb shot from Sammels produced an even better save as the apparently unbeatable keeper flung himself full stretch to push it round the post. Arsenal were encamped in the Town half and produced a succession of corners. But Downsborough was stopping everything they could throw at him. With four minutes remaining, Town were beginning to believe that the impossible might happen when disaster struck. Ironically, after a faultless performance up to that point, it was Downsborough's error that led to Arsenal snatching an equaliser. He mistimed a dash from his line intending to intercept a run by Gould. But instead, he allowed the busy striker to ghost past him and run the ball into the net. After withstanding the second half onslaught, it was a cruel blow for Town to have conceded such a soft goal. And as extra-time loomed, it would have been a brave man who would have betted against the First Division side going on to claim victory. But as the teams took a break before the extra 30 minutes, it was clear that it was the thoroughbreds of Arsenal who looked more tired. Several of their players were sat down, with their socks rolled down to their ankles. The first half of extra-time was evenly fought. Gould went close in the thirteenth minute, but he was denied by yet another good save from Downsborough. Just before the break, Town came close when a Roger Smart header was scrambled on to a post and behind by Wilson. The resulting corner was floated across the crowded goalmouth. The ball somehow evaded everyone and seemed to be drawn magnetically towards Rogers, waiting at the far post. In one graceful movement he brought it down with his right foot and then hammered it into the net with his left. Arsenal never recovered. Town went on to take control of the second period of extra-time and never looked like relinquishing their lead. In fact, only a desperate save from Wilson prevented Heath from making it 3-1. And with the final few seconds ticking away, Rogers supplied the icing on the cake. Bursting through from his own half, he made a bee-line for the goal with the ball at his feet. As he reached the box, and with the advancing Wilson narrowing his angle, Rogers paused for a split second, produced a magical swerve which left Bob Wilson on the floor, walked round him and tapped the ball into the net. No one who witnessed that goal could ever forget it. It somehow seemed appropriate that a magical day in Swindon Town's history should be commemorated by a magical goal. Arsenal blamed the flu. Then they blamed the pitch without explaining why it had not prevented Don Rogers and Swindon Town playing football. But they eventually conceded that Town had earned their victory. Swindon Town went on to earn promotion to the old Second Division just a few weeks later. They finished level on points at the top with Watford. But in the days of goal averages, their rivals claimed the championship by 0.1479 of a goal. Since that memorable appearance in 1969, Town have returned to Wembley on two occasions and won both times. In the 1990 First Division play-offs they beat Sunderland 1-0. And in 1993 they produced a magnificent performance to beat Leicester 4-3 and win a place in the Premiership. Many will argue that those victories rank equally with the League Cup triumph. 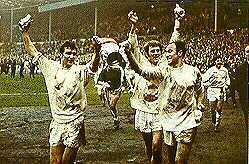 But no Town fan old enough to remember could ever expect to better the memories of Wembley Stadium on 15 March 1969. Swindon Town: Downsborough, Thomas, Trollope, Butler, Burrows, Harland, Heath, Smart, Smith (Penman, 77 minutes), Noble, Rogers. Arsenal: Wilson, Storey, McNab, McLintock, Ure, Simpson (Graham, 71 minutes), Radford, Sammels, Court, Gould, Armstrong. Back row (left to right): John Smith, Peter Noble, Roger Smart, Owen Dawson, Peter Downsborough, Stan Harland, John Trollope, Don Heath. Front row (left to right): Frank Burrows, Joe Butler, Rod Thomas, Chris Jones, Willie Penman, Don Rogers. 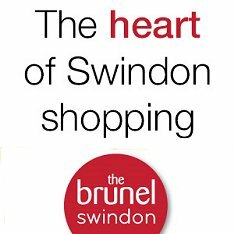 We grabbed a word with the Swindon Town legend just before Swindon's last Wembley appearance in 2012 to ask his memories of the big match build-up in 1969 and the joy of scoring twice to beat Arsenal to win the Cup.